March 8th, 2015 was a very special day for a very special couple; Bryan and Janet, who our videographers and cinematographers had the pleasure of working with here at SDE Weddings®, Toronto’s premier wedding videography, cinematography and photo booth group. Not only was it Janet’s birthday, an altogether auspicious occasion in and of itself, but Bryan had ventured to top a truly spectacular event off with something spectacular. Preparing a surprise for his beloved on her birthday, Bryan had proposed to Janet in a beautiful moment caught candidly by our videographers and cinematographers in a bright winter day at Ancaster’s aptly-named and truly impressive ‘Ancaster Mill’, one of our favorite venues to film at, made particularly picturesque by the winter-theme conjured by a countryside coated in snow. It was especially gorgeous come mid-day, with a glimmering frozen waterfall feature that made Bryan and Janet’s engagement day all the more romantic for a memory that will truly be ‘frozen’ in time. With this profound life moment, Bryan, who works for GO transit, truly showed that he really knows how to go the extra mile for his loved ones, and with the reaction from his bride-to-be Janet captured on camera by our videographers and cinematographers, we’d say that the newly engaged couple have a truly long road ahead of them. All in all, with the handful of winter weddings and filming our videographers had done this season, the shots we had taken for Bryan and Janet came out looking truly fantastic. 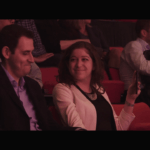 Well, since seeing is believing, feel free to preview the highlight of Janet’s birthday made doubly-delightful with a tearful proposal in the following highlight reel. 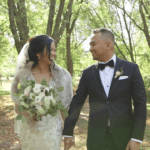 As for Bryan and Janet, our videographers and cinematographers here at SDE Weddings® are eagerly awaiting the next time we’ll see them, on the next step on their journey. You can take a look at another wedding video that we filmed at the Ancaster Mill here. 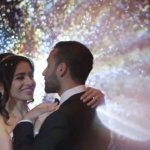 Updated on October 2nd, 2017: Watch Bryan & Janet’s wedding video here.